In this paper comparing the experiences of the two Iraqi Jews Naim Kattan and Heskel Haddad, the academic Nadia Malinovich charts their hopes for pluralism in the new nation of Iraq and their bitter disillusionment after the 1941 Farhud pogrom. A New Social Universe: Breaking Down Barriers Between Muslims and Jews: Both Kattan and Haddad indicate that prior to World War I and the fall of the Ottoman Empire, Jews and Muslims lived in an ordered universe governed by well-defined relations that were both understood and respected. Growing up during the eras of both Iraqi nation building and Arab nation- alism, by contrast, the younger generation began to question these tradition- al fault lines, both evincing positions and engaging in behaviors that were shocking to their parents’ and grandparents’ generations. 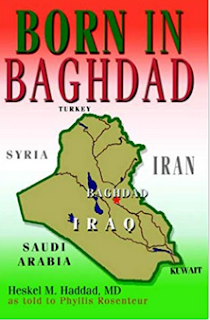 Both memoirs paint a picture of traditional Jewish-Muslim relations in Iraq as ranging from cordial to warm to hostile (on occasion), but in all cases, highly formalized: for the most part, the two groups lived in separate neigh- borhoods, attended separate schools, and interacted with each other almost exclusively in the public sphere. While it was not unheard of for Jews and Muslims to enter each other’s homes, Haddad recalls, this would only be done on formal occasions. In a similar vein, Kattan’s memoir emphasizes the traditional separation between the Jewish and Muslim communities. Neither his mother nor maternal grandmother, he recalls, would have ever wandered into the Muslim section of the city. This state of affairs, he suggests, was the result of both fear on the part of the Jews as a vulnerable minority, as well as a tacit mutual understanding. His mother would not cross the Muslim section on foot “except when she was forced to do so, trembling with fear and uncertainty.” As for his grandmother, “it would have been unthinkable to enter the Muslim section. Besides her fear of the unknown, she did not want to open the way to a possible reciprocity and allow Muslims to have a place at the synagogue.”31 Kattan’s paternal grandmother, by contrast, lived with her son—a well-respected doctor who treated many prominent Muslim families—in a small Jewish enclave within a Muslim neighborhood. 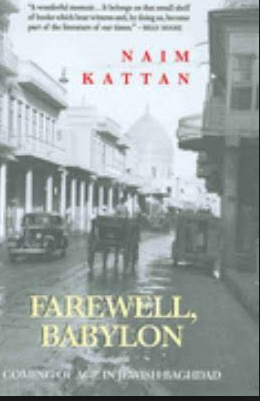 His uncle’s position translated into great prestige among the notable families of the city, and Kattan recounts his and his grandmother’s attendance at a large party thrown by Muslim friends of the family in honor of their sons’ circumcisions. Kattan’s focus in this story, however, is his feeling of being an outsider at this celebration, and he notes that he and his grandmother did not stay for the dinner, by mutual agreement. As an adolescent, Kattan, by contrast, socializes informally with Muslims, which both his parents and grandparents find shocking. Kattan recalls his mother’s anxiety as he began to spend most of his time in cafés with Muslim poets, journalists, and writers. “My mother was deeply concerned: a Jew lost among strange Muslims older than himself.”33 For his father and grandmother as well this behavior was inappropriate and potentially dangerous. In an attempt to dissuade him from continuing to frequent Muslims in this way, Kattan’s grandmother “listed the boys in the family and the neighborhood who had been led along the path of perdition by their evil associates; all had known a sad fate.”34 The kind of formalized interactions with Muslims that she engaged in, these comments make clear, is very diffferent from the kind of intimate—and in her view inappropriate—socializng in which her grandson was partaking. This experience was heartbreaking for Haddad because, unlike his father, he was growing up as a citizen of a newly created Iraqi state promulgating a vision of oneness between Jews and Muslims—a shared Arab identity. Yet his father needed to “teach” him the realities that governed Jewish-Muslim relations because he was worried that his son would fall dupe to a promise of equality and brotherhood that was more rhetoric than reality. Indeed, both Kattan and Haddad’s stories are, in a sense, tales of shattered dreams and broken promises, as their unwavering loyalty to Iraq became a kind of unrequited love story.